Camping is a fun, family-friendly vacation idea that can leave you with many happy memories. For many parents, camping is an ideal option since it can be inexpensive and a great way to spend more time in nature with your family. Kids can learn a lot from a camping trip, from basic survival skills to activities such as fishing and hunting. If you are planning to take your family camping for a vacation, then making sure that everybody has fun and stays safe should be a top priority. We’ve put together some top tips for planning a successful camping trip with children. Firstly, it’s important to ensure that the campsite on which you and your family will be staying has all the facilities that you need to have a good time. 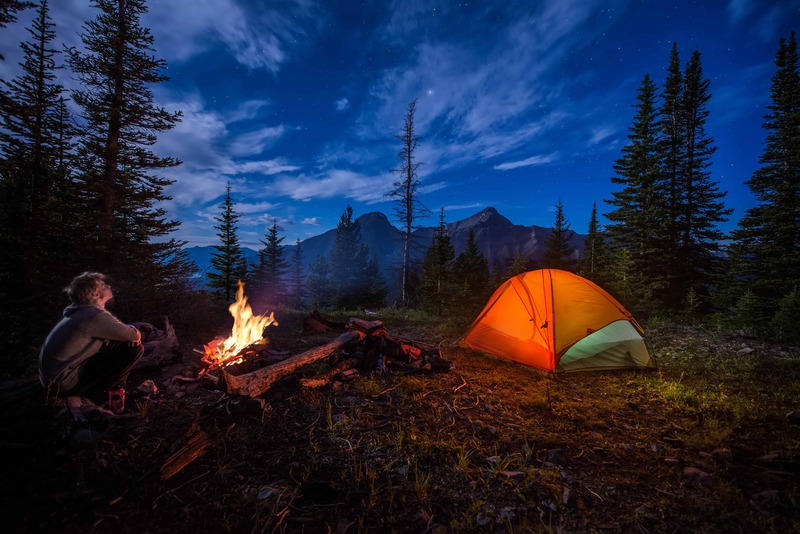 Look out for family-friendly campsites which offer amenities such as kid-friendly bathrooms, play areas, and a shop that will come in handy if you find yourself in need of extra supplies. Keeping your family comfortable and warm during your stay is essential to a successful and memorable camping trip. Before you set off, make sure that you are well equipped with all the right gear, such as a high-quality family tent and warm sleeping bags that will keep the whole family toasty during the night. You can find the best family camping gear at myfamilytent.com. During a camping trip with children, safety is one of the biggest concerns. Before you set off, it’s a good idea to sit down together as a family and lay down some ground rules. For example, make sure that your children know how far they are allowed to stray from your tent, to stay within the campsite grounds without you, and not to touch anything that they are unsure of. It may be worth considering getting your children a cheap cell phone or another method of getting in touch with you, such as a whistle so that you can get to them quickly if they need you during your stay. A camping trip is lots of fun for many kids, however, it’s a good idea to take along a range of things that they can do to keep them occupied. For example, if you’re having a chilled day and aren’t out exploring the local area, then activities such as coloring, games, books, and toys will help keep your little ones occupied. Tip #5. Relax and Enjoy Your Trip! Lastly, don’t forget that the camping trip is also for you to enjoy some relaxing time away from home. Try not to set too much of a fast pace and allow yourself to have some extra chill time, too. If possible, it might be a good idea to find a campsite with a kids’ club or similar to allow the adults to enjoy some much-needed rest time alone. If these tips were useful for you, we’d love to hear from you in the comments.